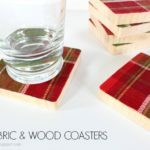 Friends we are inching closer to the holidays and I have the perfect gift for those remaining people on your list, how about a gift card and a diy gift card holder? 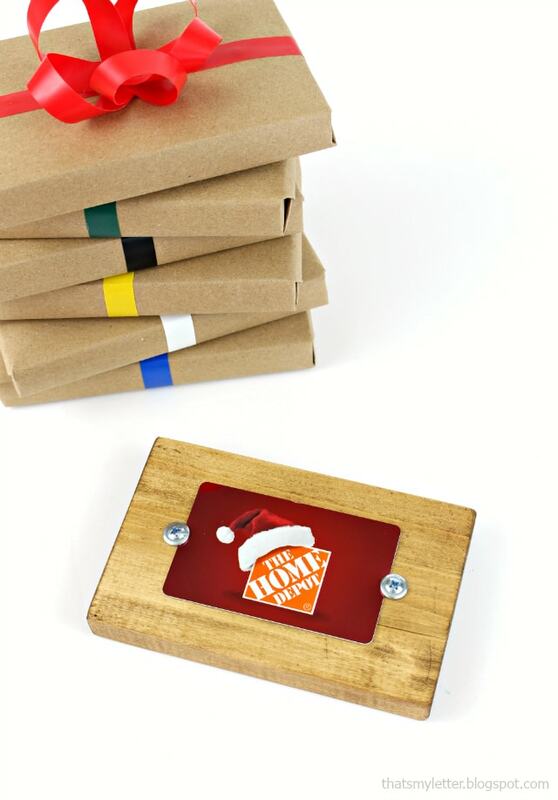 This gift card holder is part of a virtual party with 15 diy bloggers all presenting their own creative diy gift card holders for The Home Depot gift cards. 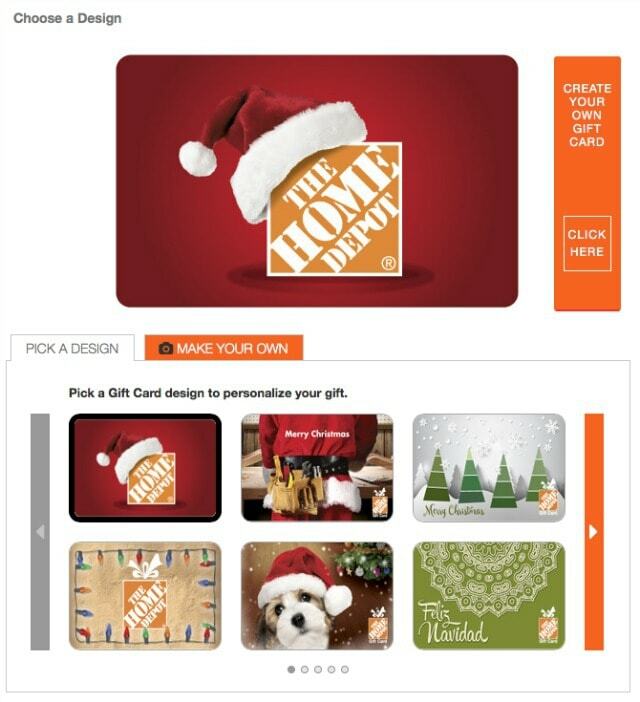 learn more about The Home Depot gift cards. 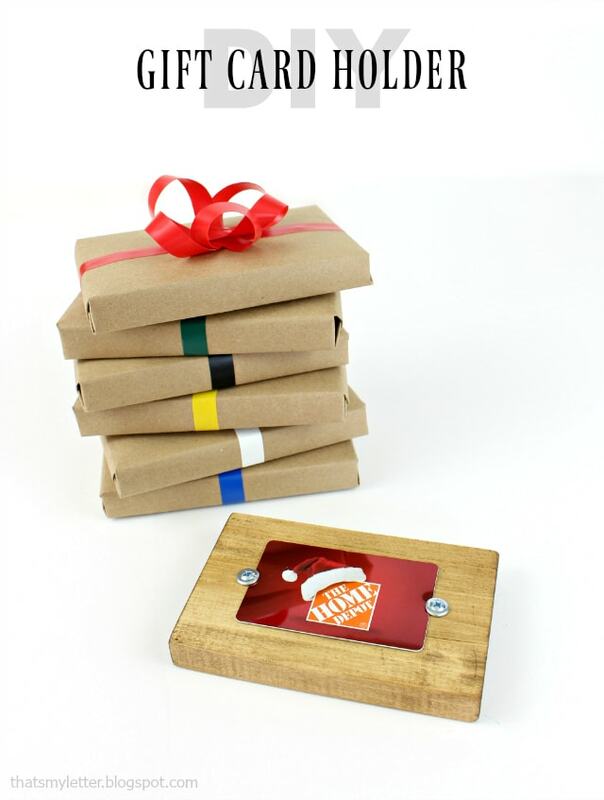 I designed this gift card holder as an easy way to present your gift card using items you just might have on hand. 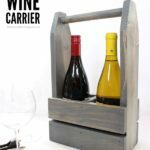 It’s simple and functional and could be used any time. 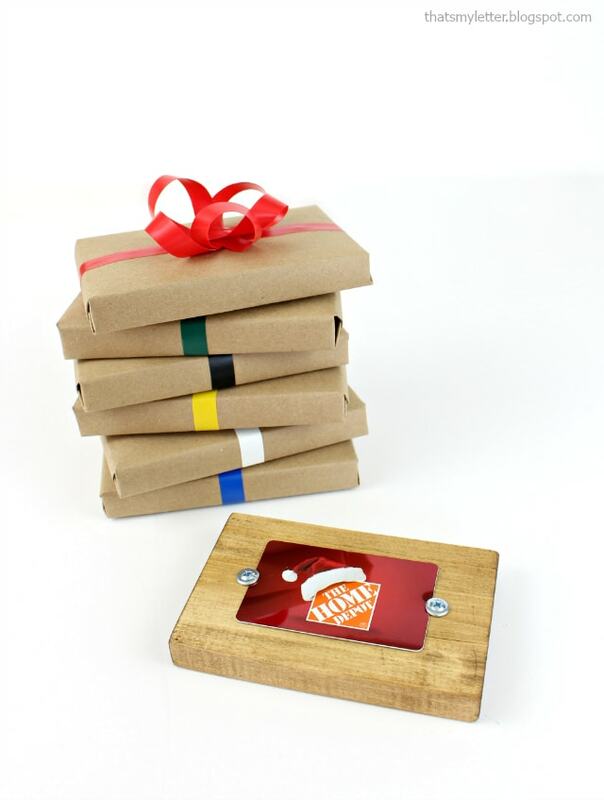 Gift cards are great for friends, family, wedding gifts, house warming, etc., truly any time of the year. 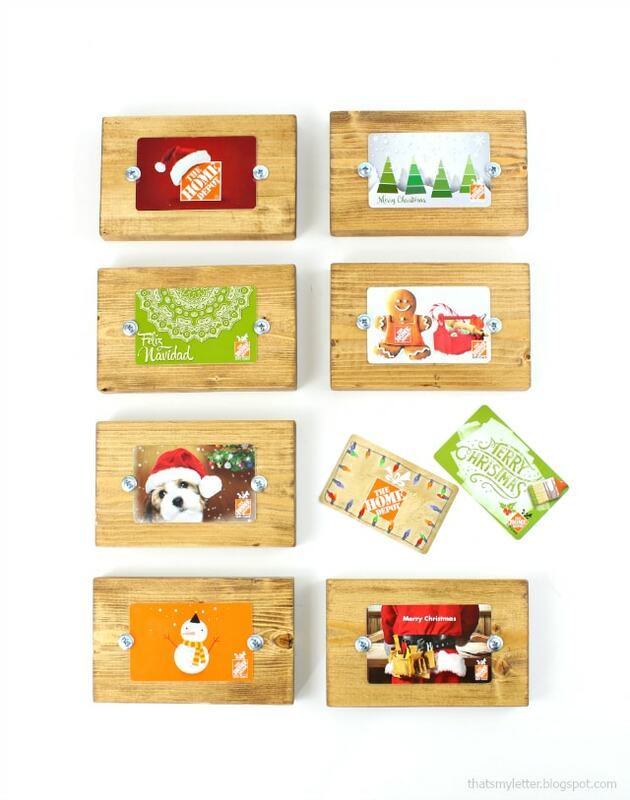 Once your gift card arrives or if you purchased a gift card at The Home Depot store then you’re ready to make the gift card holder. 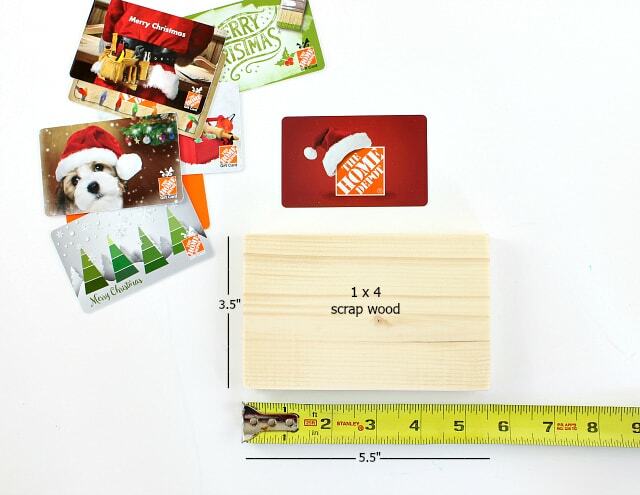 Step 1: Cut a piece of 1×4 scrap wood to 5 1/2″ long. Sand edges smooth. 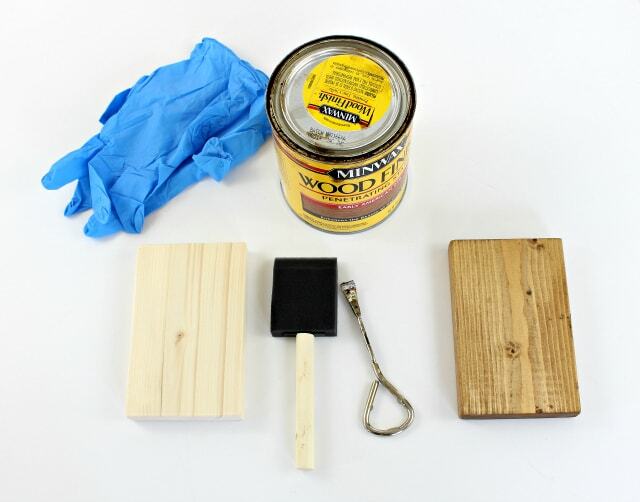 Step 2: Apply stain onto wood. Let dry. 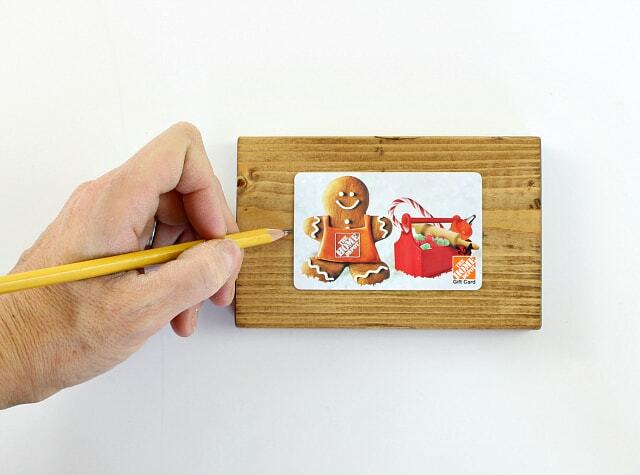 Step 3: Place gift card in center of wood and mark each edge at the middle point. 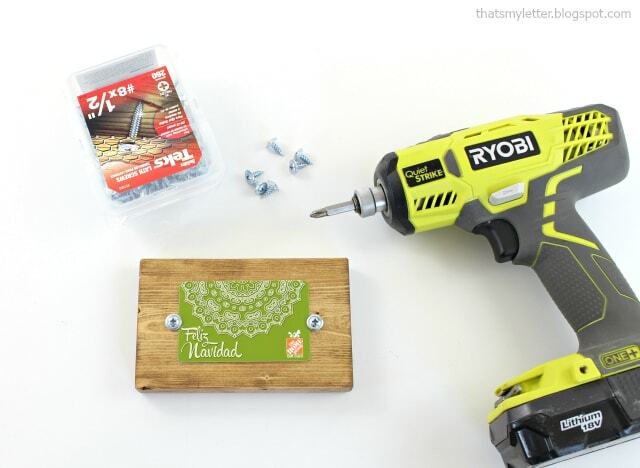 Step 4: Use a drill to insert 1/2″ lath screw into wood. Lath screws are self tapping so no need to predrill. One screw on each short side of the gift card will do. 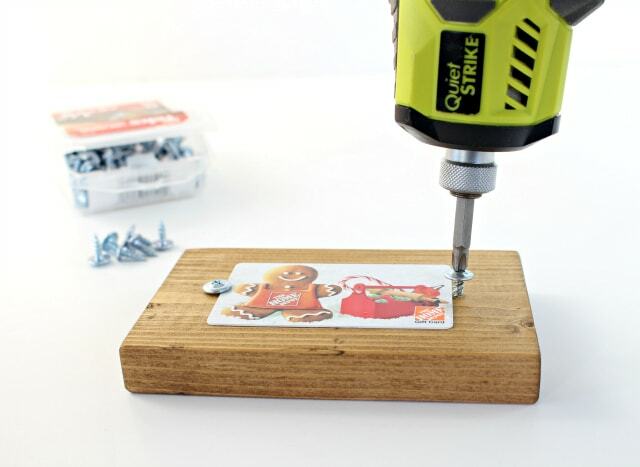 Once both screws are in place the gift card will be held firmly to the wood. To wrap the gift card I used brown masking paper and colored electrical tape. 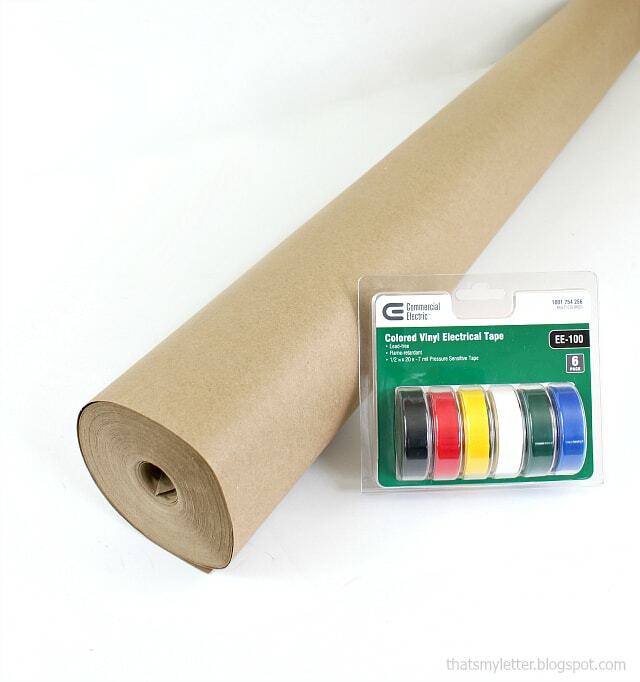 To make the tape into a bow cut two pieces at equal length. Stick those two pieces together leaving a 1/4″ at either end of ‘sticky’ side exposed. Taking those two exposed sticky ends you can make a loop and stick the ends together. Repeat this process to make many loops. 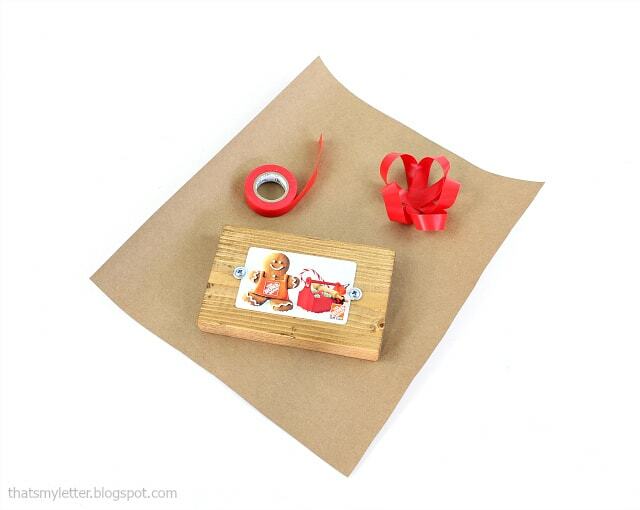 Wrap up the gift card holder using the brown paper and secure with electrical tape then apply the bow and your gift is ready! Disclaimer: The Home Depot partners with bloggers such as me for special projects. I have received compensation for my time. The Home Depot believes that consumers and bloggers are to form their own opinions and share them in their own words. The Home Depot’s policies align with WOMMA Ethics Code, FTC guidelines and social media engagement recommendations.